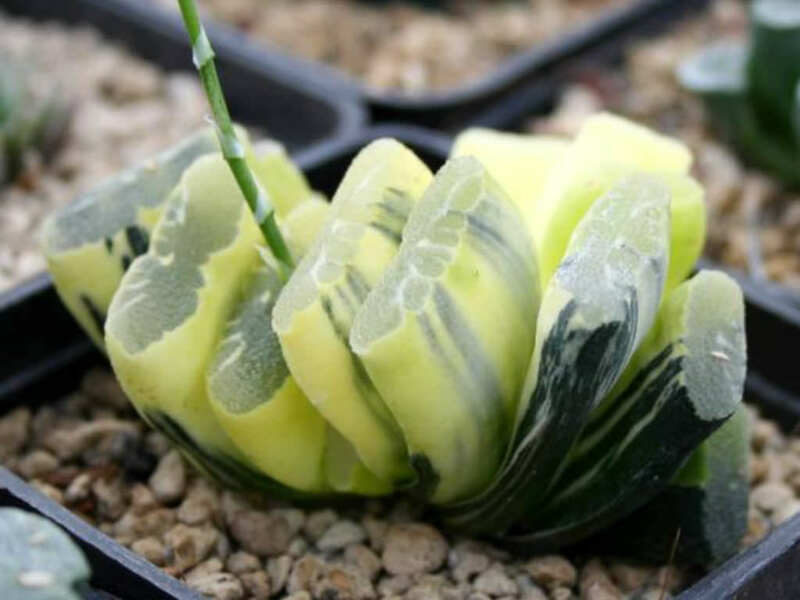 Haworthia truncata f. variegata is a small plant, up to 0.8 inch (2 cm) tall and up to 4 inches (10 cm) wide. 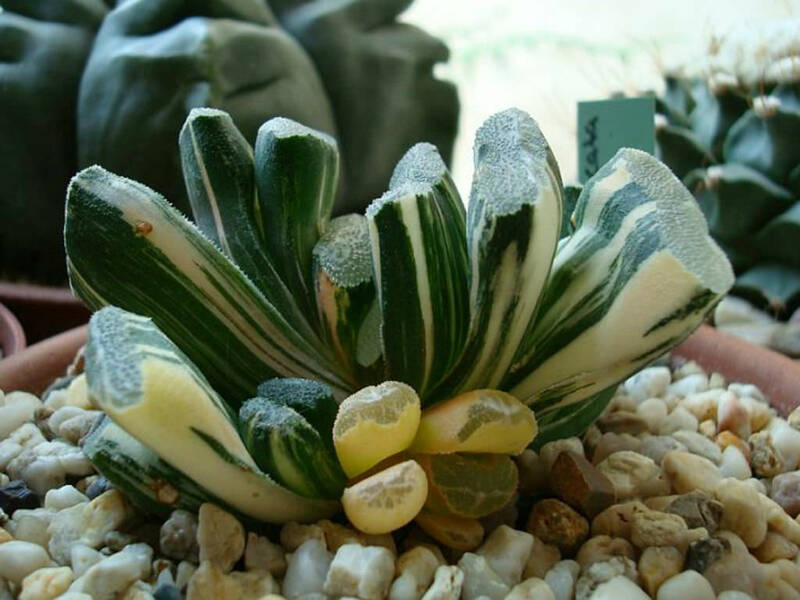 It is easily recognizable by its leaves which have a nearly rectangular crosssection and are arranged in two opposite rows. 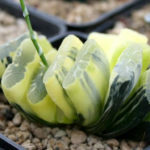 The variegated leaves are creamy-white, yellow with green stripes and even distinct shades of brownish-green. 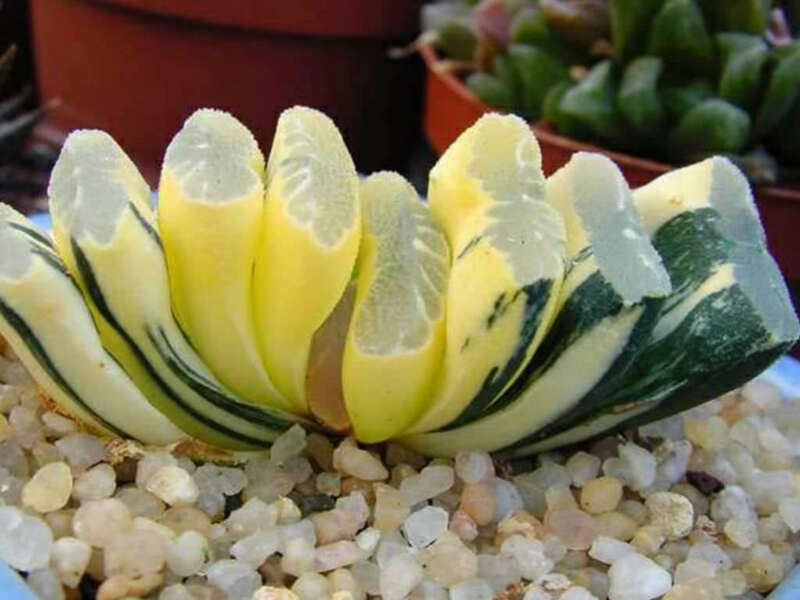 The end of a leaf – the upper surface – gives the impression of having been cut (or truncated), hence the specific epithet truncata. The leaves are covered in white or gray lines with verrucosities. The flowers are not very showy, emerging in white, tubular clusters on a up to 8 inches (20 cm) stem. 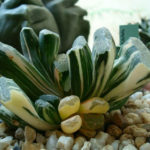 Native to the Little Karoo region, in the far east of the Western Cape Province, South Africa.